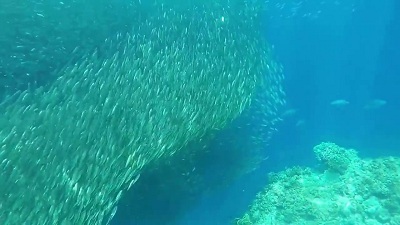 The waters off Pamilacan Island teem with schools of tuna, snappers, groupers, mackerel and surgeonfish. Dolphins and pilot whales can also be viewed from the distance. Bohol is the tenth largest Island in the whole Philippine archipelago and lies at the very heart of Visayas. 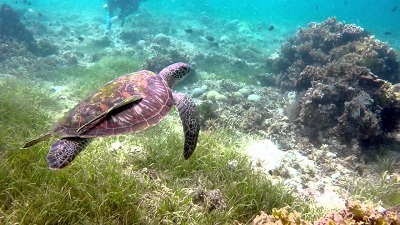 Along its coastline are several Islets such as Panglao, Cabilao, Jao, Balicasag, Mahanay, and Lapinin which all offer excellent marine life. Panglao Island a small coralline island located near the south western tip of Bohol. 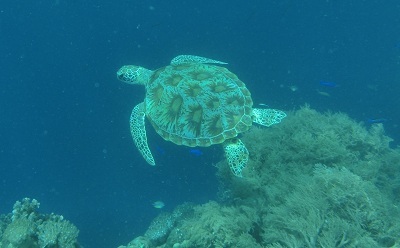 The north and western section of the reef are noteworthy, with a reef platform that is relatively narrow and shallow (15-20ft/5-6m) that has an edge terminating into perpendicular submarine cliffs, plunging down to depths 100-170 ft/33-56m. Farther seawards are schools of dolphins and pilot whales. 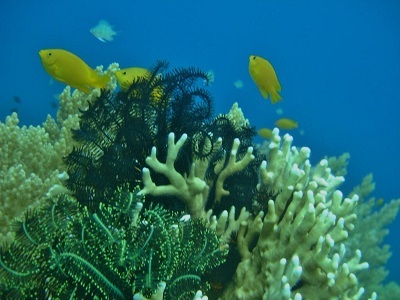 Its coral gardens welcome you near the surface which is great for snorkelling. Its best assets are its steep walls with caves, overhangs and crevices home to abundant fish and invertebrate life. 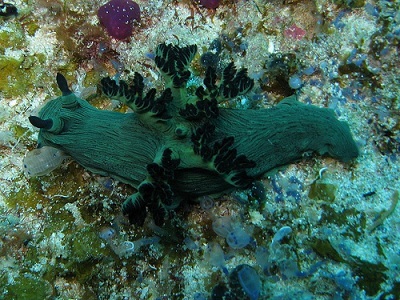 Listed below are the most famous among the dive spots in Panglao Island. 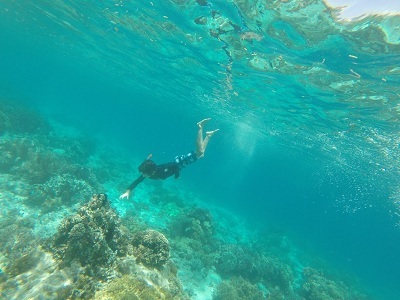 Balicasag Island is where you will find a 400 meter Marine Sanctuary of healthy corals with plenty of pelagic visitors characterized by vertical walls over deep waters with strong currents. 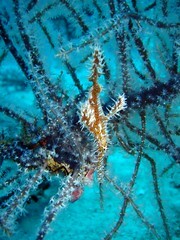 A dive in December or January can offer treats of Hammerhead Sharks and sometimes Whale Sharks. 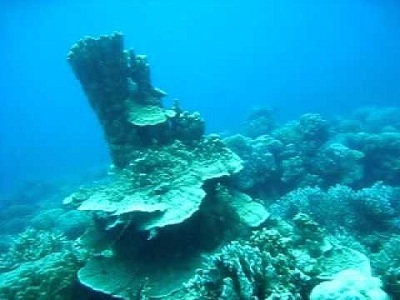 The top of the submarine cliffs are covered with the hard coral while lower levels are covered with sponges and gorgonians. 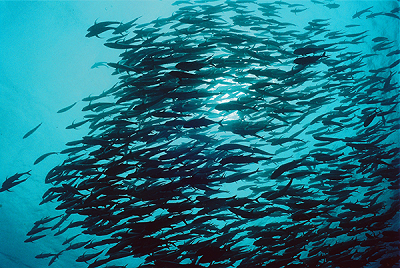 A thriving fish community is found around the cliff area. Here, jacks, mackerel and barracudas are seen in abundance.On the south and southwest portions of the shelf are wider and grades down to 60-70ft/20-23m. 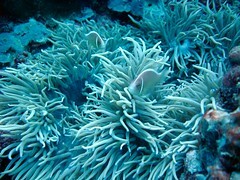 The slope is covered with wide patches of hard and soft coral. 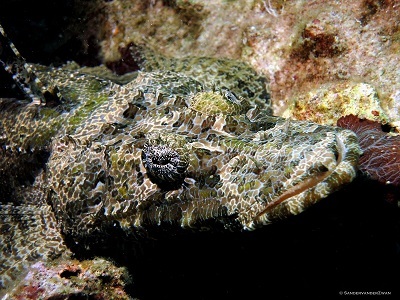 The submarine cliffs are indented with caves and overhangs where large groupers, napoleon wrasses and snappers hide. Cabilao Island is south west of Pangangan Island across the Bohol Strait. A small island of Lo-on, Bohol. It is 1 hour 20 minutes boat ride by banca from Mactan Island, Cebu. 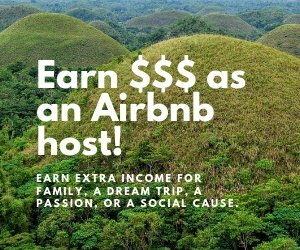 Diving in the area is centered in front of the light house and has some of the best divesites in the Philippines and is particularly noted for Hammerhead Sharks in the deeper waters off its northwest point, an exciting dive for the more experienced. 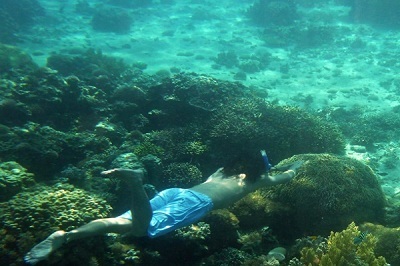 Located in the eastern side from Panglao Island, the Island has strong currents which is great for drift diving. The Island has a gradual slope of white sands and isolated corals but is known for its big Napoleon wrasse and large pelagic fishes. 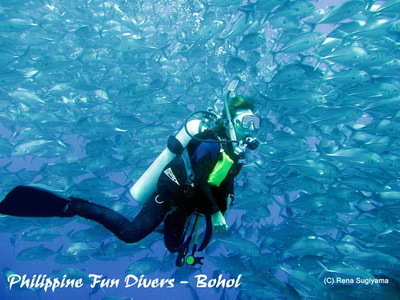 The following Bohol Diving spots offer excellent diving. 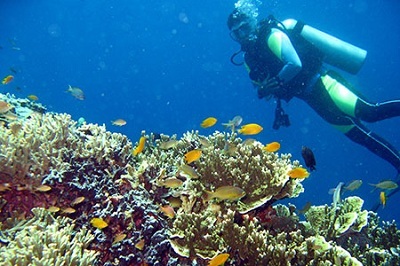 Balicasag, long known for its exotic seashells, (the natives net-fish the deeper waters for rare specimens), and its cascading coral walls is considered one of the best dive spots in the country. The Cathedral Dive Site is located at Balicasag Island, Bohol, Philippines. 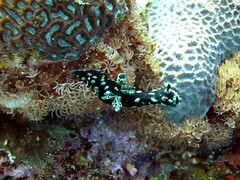 Black Forest Dive Site is located at Balicasag Island, Bohol, Philippines. It is 10 km from Belleview Rock Resort, approximately 27 min by pump boat or outrigger boat. Rudy Rock Dive Site is located at Balicasag Island, Bohol, Philippines. It is 11-1/2km from Belleview Rock Resort, approximately 31 min by pump boat or outrigger boat. Rico's Wall is a deep drop-off wall in the south-west side of Balicasag Island, Bohol, Philippines.The land orientation is the big rock marked with the stick in front of the beach in shallow water. 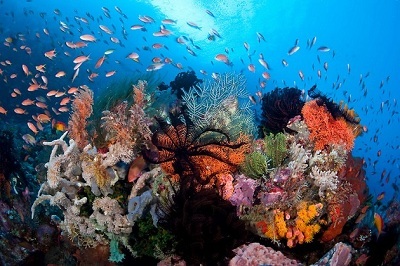 The Divers Heaven Dive Site is located north-east of Balicasag Island, Bohol, Philippines. Panglao Island isa small coralline island located near the south western tip of Bohol. 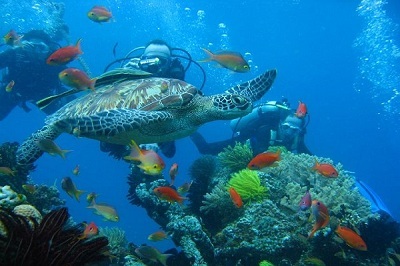 The Crystal Sanctuary dive site is located at Danao, Panglao Island at its south side. 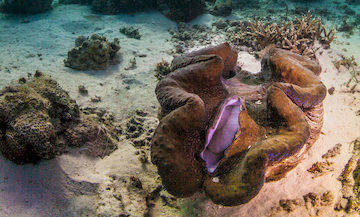 The Doljo House Reef is located at Doljo, Panglao Island, at its western side. 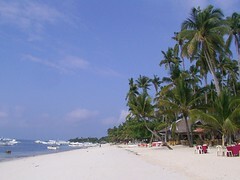 The Momo Beach dive site is located at Tangnan, Panglao Island, at its northern side. Napaling Dive is located at Tangnan, Panglao Island, Bohol, Philippines with a rating of 2/5 and distance of 21 km from Belleview Rock Resort. The Kalipayan Dive Site is located at Danao, Panglao Island, Bohol, Philippines.It is 2km from Belleview Rock Resort, approximately 8min. by pump boat or outrigger boat. 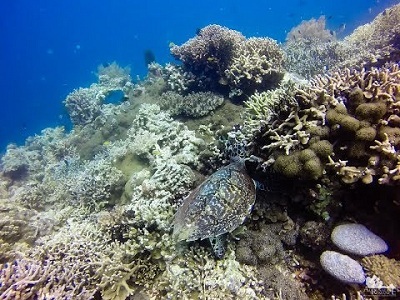 The House Reef Dive Site is located at Alona Beach, Tawala, Panglao Island, Bohol, Philippines.It is 120km from Belleview Rock Resort, approximately 1min by pump boat or outrigger boat. 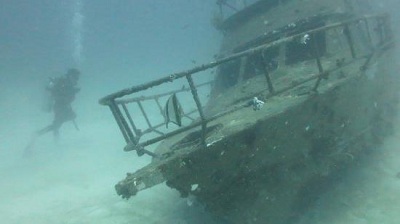 The Habagat Wreck Dive Site is located at Danao Beach, Panglao Island, Bohol, Philippines.It is 2-1/2km from Belleview Rock Resort and approximately 9min. by pump boat or outrigger boat. The Garden Eels Dive Site is located at Danao, Panglao Island, Bohol, Philippines.It is ½ km from Belleview Rock Resort, at its west side, and approximately 3min by pump boat or outrigger boat. 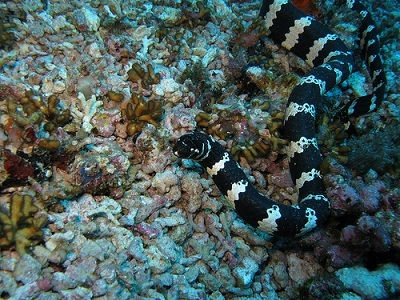 The Cervera Shoal or Snake Island Dive Site is located at Libaong, Panglao Island, Bohol, Philippines. Pungtud Wall Dive is located at Doljo, Panglao Island, Bohol, Philippines. 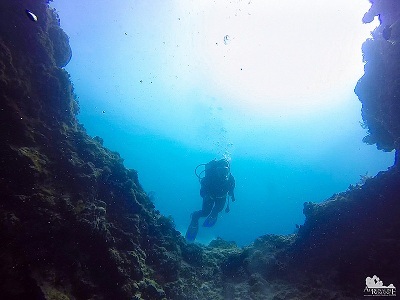 The Doljo Point Dive is located at Doljo, Panglao Island, Bohol, Philippines.This is a steep slope/wall dive, rated is 3/5 with a distance of 15 km from Belleview Rock Resort. The BBC Dive Site is right in front of the Bohol Beach Club and is about 10 minutes away by motorized banca from Alona Beach which is 3.5 kilometers away. Arco Point Dive Site is located at Libaong, Panglao Island, Bohol, Philippines.It is 4-1/2km from Belleview Rock Resort and approximately 14 min. away by pump boat or outrigger boat. 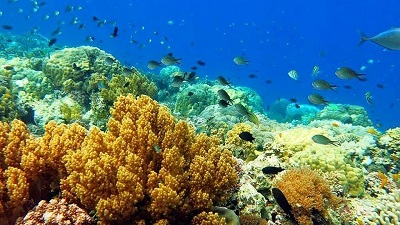 Jagna’s shoreline and corresponding underwater world burst with colourful corals and fishes, seemingly undisturbed and untouched for centuries. 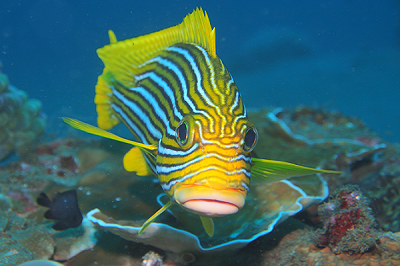 The Danajon Bank or Double Barrier Reef, located off northern Bohol Island, is the only double barrier reef in the Philippines and is 1 of only 3 such sites in the Indo-Pacific. Pamilacan Island is a small island which is part of the municipality of Baclayon. It is between the deep sea of Bohol and Mindanao.It is only a 1-hour pump or outrigger boat ride from Baclayon. Pamilacan Dive Site is located at Pamilacan Island, Baclayon, Bohol, Philippines.